Kieran McCauley is on a mission to make HealthSource the recognized name for holistic health--and based on his track record he'll make it happen. 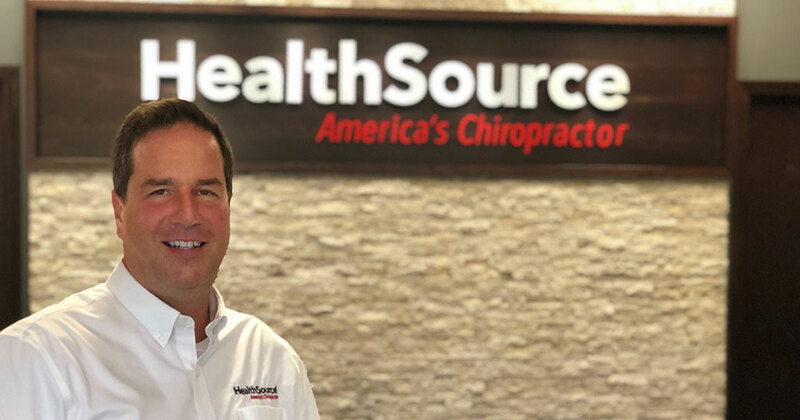 McCauley has been vice president of marketing for HealthSource--which specializes in chiropractic, rehab, and wellness services--since August of 2017. He came to HealthSource after 3 years with Marco's Pizza as senior director for brand marketing. He's a former ad man with a reputation for creating bold advertising campaigns for a long list of consumer and Fortune 500 brands, including White Castle, Hotels.com, Sherwin-Williams, Volvo, and BP. He's also a proven leader who knows how to lead marketing campaigns and help drive sales, execute brand strategy, and meet annual budget and sales goals. His first step at HealthSourcewas to understand Americans' views on healthcare and how treatments for pain and wellness programs fit into their busy schedules. This insight led to the creation of HealthSource's "Do What You Love" campaign--a major departure from typical rehabilitation service provider messages, which focus on a consumer's pain instead of their passions. "People don't need to be reminded that they have pain," says McCauley. "They need to remember what makes them happy. And this campaign shows them how to get into a routine to address and prevent pain, using stretching, massage, progressive rehab, nutritional supplements, and spinal manipulation." Based on the number of new visits to HealthSource clinics after the campaign's launch, the message is hitting home: the brand's network of clinics saw a 39 percent increase in new customers, the largest jump since it was founded in 2006, and revenues rose 8 percent. I equate my role to that of a ship captain. After establishing a map for the future based on consumer insight and brand positioning, I execute our brand strategy through initiatives to meet our annual budget and sales goals. I am constantly adjusting to market conditions to get the brand safely into port. The myriad of channels available to reach your target audience. Media buying has become highly fractured and you are constantly testing and evaluating new channels to see if they are more effective. Even traditional television buys are complicated by the explosion of over-the-top (OTT) and connected device options. Sometimes old methods still deliver better results than newer and highly targeted options. It just depends on the target and tactic. 1) Never deviate from your brand position; everything you do should be in alignment with this position so consumers know what you stand for and what makes your product or service unique. 2) Ensure everyone is living the brand throughout your organization, not only in signage and advertising, but in how they interact with customers. 3) Over-deliver on promises to your customers so they will sing your praises on social media. How do you prepare a marketing plan and execute strategies? After the marketing team understands revenue goals for the upcoming year, we conduct a series of brainstorming sessions with our business partners and a group of franchisees to come up with quarterly promotion ideas. The strongest ideas are further refined and the execution tactics are matched up with spending budgets. We then unveil the yearly plan to all franchisees. HealthSource has two KPI areas: one for brand goals, the other for revenue goals. This helps us separate our efforts to build brand awareness through advertising and public relations, and consumer engagement using social media from initiatives to drive new patients, patients visits, and product sales into our clinics. Consumers today are looking for ways to manage pain so they can stay active. However, they don't need to be reminded of the pain they're experiencing, they need to focus on how they can get back to doing the things they love, whether that's walking, running, biking, golfing, etc. This is our consumer message. We've essentially flipped the focus from pain management to active living. This positions HealthSource as the place to receive holistic healthcare, building lifelong patient relationships for our clinics. How do you go about creating a "customer-centric" marketing and brand philosophy? Through a combination of CRM systems we have in place and our "live-local" approach to marketing. The live-local approach is all about having our clinics support local groups in the communities in which they operate. It's also about personalizing messaging to patients, providing details that demonstrate a personal understanding. Our team is divided into three groups: offline communications, online communications, and field communications. Social and digital are covered in online communications; broadcast, print, out-of-home, and point of purchase are offline. Field manages local clinic marketing and in-clinic activities. Each group develops programs based on the overall promotional strategy developed during the annual planning session. It has proven to be a very efficient way to operate. Why is it so important for the marketing department to have a "personal touch" when it comes to helping the brand connect with franchise prospects? HealthSource exists to help people do what they love through wellness products and services. This is our brand essence. Marketing meets with small-business owners and entrepreneurs to explain our brand position and marketing support programs. It's important so that they understand how we approach marketing, and to make sure they are passionate about delivering exceptional holistic health services. How does this help your franchise sales and development effort? Seeing how energetic the marketing team is about the brand is a strong selling point for prospective franchisees. It also helps explain the systems we have in place for media buying, social media, public relations, and promotions. Essentially, we take the work out of marketing for our franchisees. During a discovery day event, we walk prospective franchisees through the quarterly promotional schedule, showing them everything from the POP kits each franchisee receives, to advertising elements and local clinic marketing activities. We then review all the systems available from our various partners to execute social media, email, custom printing, and media buying locally. They leave the day knowing what to expect, and that is a big selling point for our brand. I wouldn't say they expect more today, rather that marketing has become more complicated and requires more expertise to execute. The biggest area is SEO/SEM, which is continuously evolving. This is why we employ experts in these areas and have several key partners to help us execute and track. Consumers also like to deal with local businesses, and we have a number of systems in place to ensure our franchisees can localize messaging and engagement. How is today's consumer and marketing data helping you fine-tune your marketing initiatives? We use both quantitative and qualitative consumer research to adjust our marketing plans. Focus groups are particularly insightful because they uncover opportunities and issues that might not yet have been identified by secondary research studies. Digital analytics also contains a significant amount of data about those interested in our services. Describe the evolving role of social media in your brand's marketing efforts. Social media is another way for our clinics to engage with patients. Our clinics use various social media platforms to provide wellness advice, introduce new products and treatment techniques, and to encourage patients to tell their stories and discuss therapies and products that have worked best for them. This back-and-forth dialogue helps our clinics stay connected with the patients. Social media is important, for both existing and prospective patients. Today's consumers research doctors and look at reviews before making an appointment to learn more about the staff and what current patients are saying about the clinic. As with most organizations, we have regularly scheduled meetings with other departments so we are all on the same page. Most of these meetings are conducted using Zoom or some other type of video conferencing. In addition, we travel together to visit franchisees in the field. We find this to be the most beneficial interaction because we are working together as a team to introduce programs and address issues. Through our annual planning, we allocate funds for each of the quarterly promotions. Some quarters are heavy media buy periods developed to drive more traffic to our clinics, which means we are spending considerably higher levels. Beyond the quarterly promotions, we devote a percentage of our budget to activities that are always on for brand awareness. In addition, we have minimized the number of vendor partners we work with, which makes it easier to track expenditures. Absolutely. I maintain a lean marketing staff to be more efficient. To balance this approach, I brought in strong partners, organizations that excel in their respective fields. When we all get together, my team and I have the confidence to respect their recommendations. And, more often than not, we go with their plans. This has helped us achieve strong results. Obviously, the advent of digital and social has forever changed the advertising landscape. You have to incorporate communications elements for these two spaces. What I don't do, that I see so many others do, is abandon more traditional advertising channels completely. To me, it's all about balance. Reaching the consumer through multiple touchpoints makes for a more effective campaign. It starts with a look outside our four walls, then inside. Outside we are studying consumer trends, our competition, the economy, and other influences such as government regulation. Inside we are examining budgets, forecasts, goals, and who we are and what is our reason for being. With this knowledge we create the strategy, confirm that the management team agrees with the direction, then go through the process of communicating with everyone else within the organization. What advice would you offer to aspiring CMO executives? Never stop asking "What if?" and "Could we?" types of questions. In my opinion, the best CMOs push the boundaries and try different approaches. This is how you will excel.